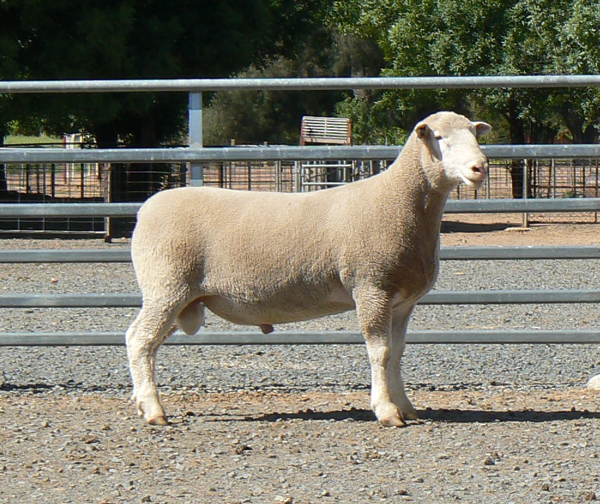 Champion Interbreed Lamb Production Terminal Group 1 ram and 2 ewes, 3rd Prize Breeders Group, Pen of 3 Rams and Lamb Production Trade, 4th Prize May Ram - 2017 Royal Adelaide Show. Rick and Nancy with the Houslers at the Janmac On-Property Sale 2016, where Janmac 149-15 outlaid the top price of $5600. 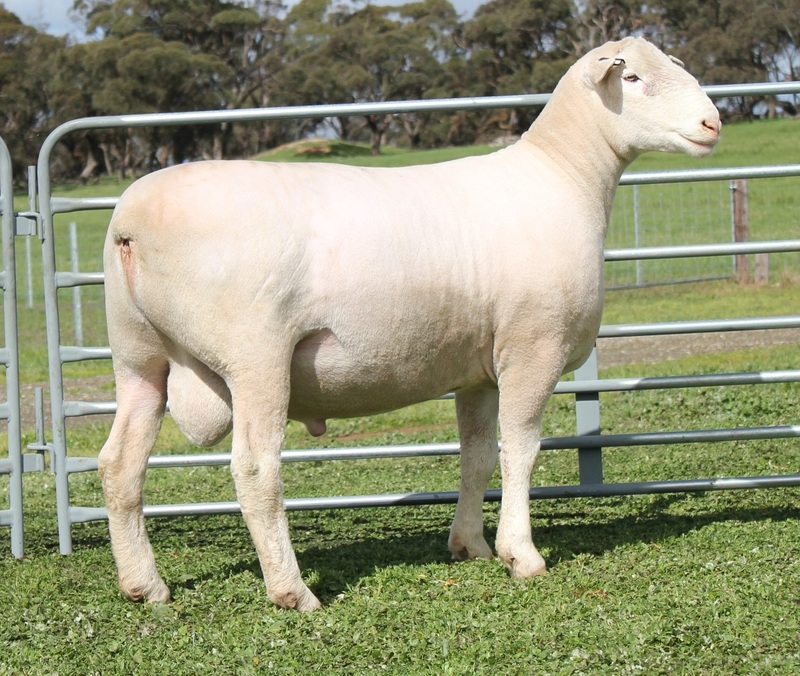 Pleased to have purcahsed this ram just in time for joining in 2017. 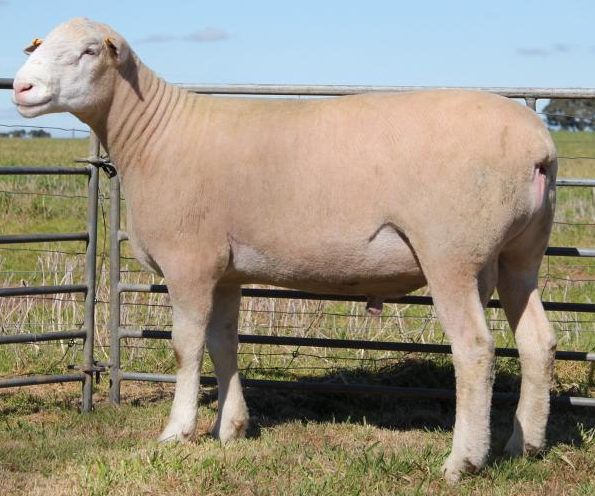 AI for 2017 lambs. 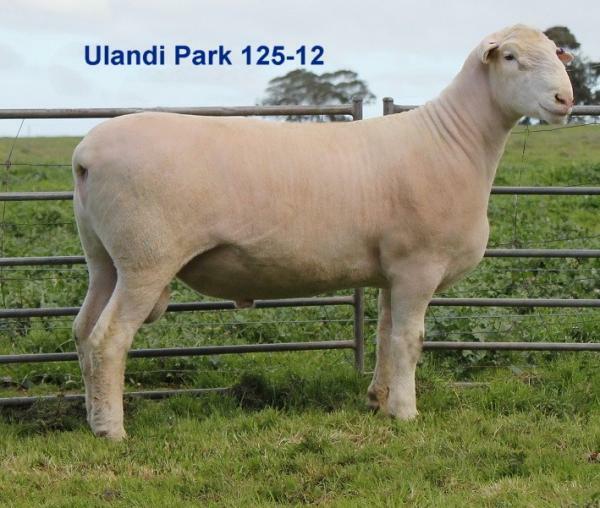 Top 1% for muscle, eating quality, and carcase plus. Top 10% for grwoth. 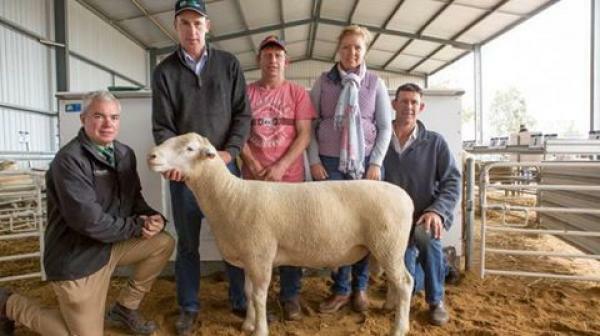 Bought for $8,000 in Bendigo at the Australasian Poll Dorset Show. 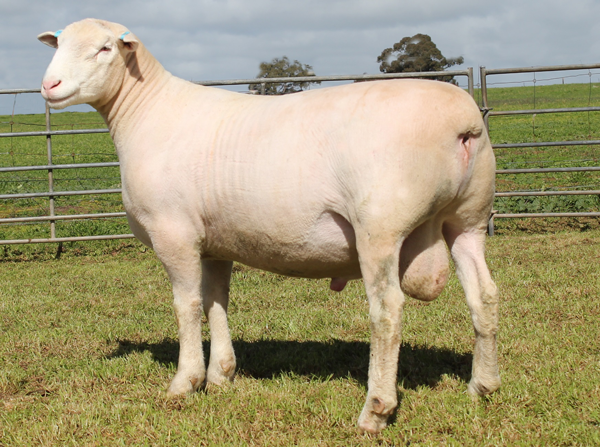 Purchased at the Poll Dorset Sale at Bendigo in 2013 and used extensively in the Stud during 2014, 2015 and 2016. 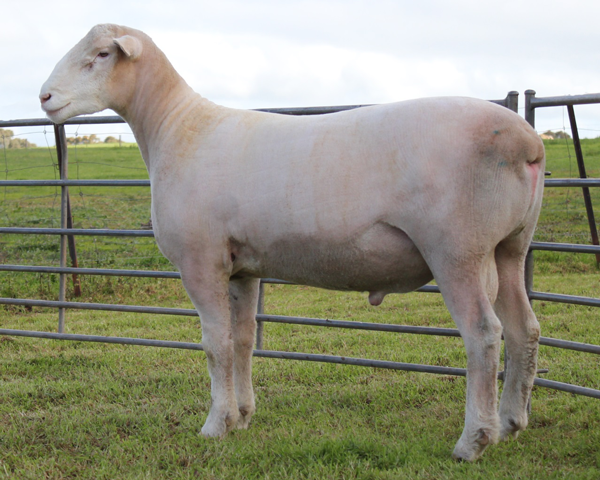 AI Sire used for 2014-16 drops.